Schmersal представила (на выставке Motek) инновационные компоненты, системы безопасности и решения, которые помогают производственным компаниям внедрять цифровые технологии будущего. Schmersal предлагает сосредоточиться на обмене данными и коммуникацией оборудования — с целью достижения повышения эффективности, производительности и гибкости систем безопасности. Ассортимент представленного оборудования Schmersal включает: датчики безопасности и блокираторы с технологией RFID, соленоид блокировки AZM400, систему установки безопасности с интерфейсом SD, услуги по безопасности. At this year’s Motek, the Schmersal Group is presenting safety systems and solutions which help production companies introduce the digital technologies of the future. 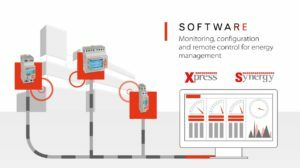 The Industry 4.0 strategies primarily focus on data exchange and communication with a view to achieving increased efficiency and improving productivity and flexibility. 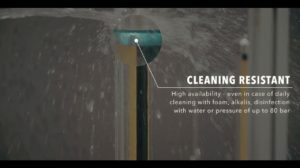 Schmersal safety technology can help. Schmersal is showcasing a new generation of RFID-based safety interlocks and sensors which can also transfer non-secure information, such as status data or error messages. RFID safety sensors monitoring the position of safety doors can, for example, send an electronic warning signal when defined offset limits are reached, before the machine is switched off. Increased system availability can be achieved as a result. At the same time, this safety switchgear is easy to incorporate into communication networks. Schmersal is presenting a new networking option at Motek: the safety installation system with SD interface. This is an installation tool for simple, cost-efficient wiring of safety switches connected in series, with the “Serial Diagnostics” interface used for the transfer of non-secure data. 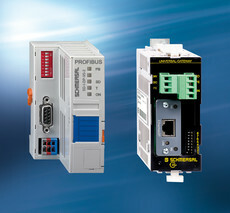 Safety sensors and solenoid interlocks fitted with an SD interface can transfer extensive diagnostics data from the individual devices connected in series via the SD gateway and a fieldbus to a controller. With the MZM100-SD non-contact magnetic solenoid interlock, this can be, for example, diagnostics data or error messages, such as “magnet temperature too high”, “operating voltage too low” or “actuator faulty”. This means problems can be resolved more quickly. In future, extended diagnostics functions will also allow preventative maintenance and the avoidance of errors and machine downtime. 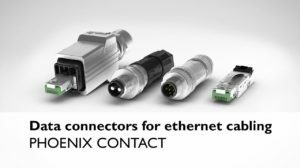 Up to 31 safety sensors and solenoid interlocks can communicate via the SD gateway. The data can be displayed on screens. and systems. The primary objective is the implementation of efficient safety solutions which guarantee not only employee safety but also increased productivity.